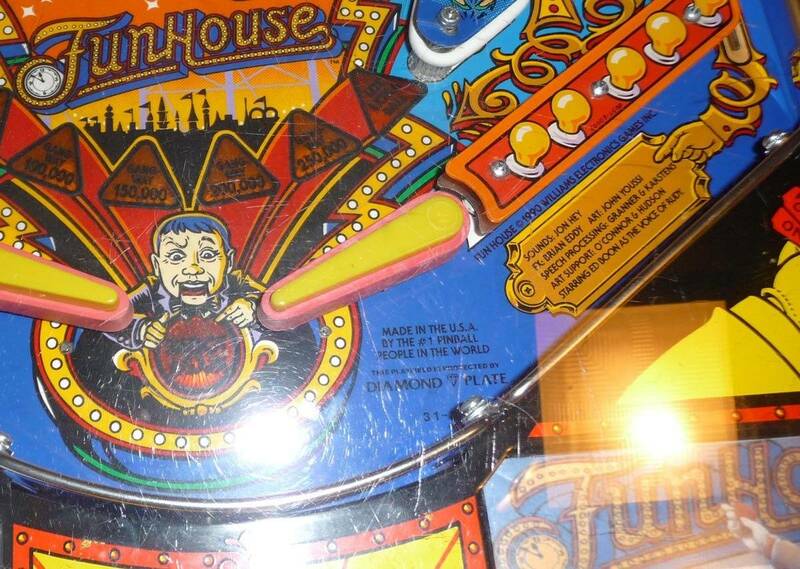 I've owned this Funhouse for over 10 years now. It was one of the first run that had the original factory Diamond Plate. Last I heard there was about 200 of this version made. The playing field is in amazing shape because of this. May question is the value or added value of this rare Diamond Plate version? Condition is usually one of the main factors in determining value--diamond plate or not. The playfield glass sure has seen better days, though. Invest $300 in PDI glass and increase the machines value by 500 bucks! Definitely adds value to it since so few of the DP version were made. Glass is of minimal concern when you get a brand new sheet of tempered for $25. Depends on what the cab looks like.